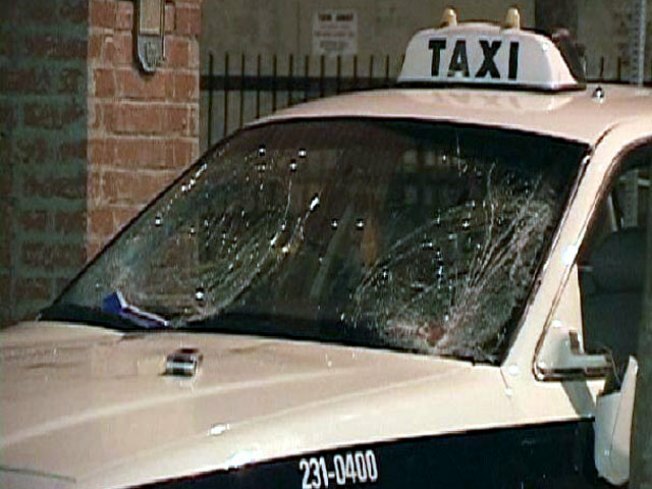 The taxi cab driver was not speeding before jumping the curb, according to Art Dougherty with SDPD Traffic Division. He said it's still a mystery what happened. Just when you thought it couldn't get any harder to find a cab, the city's taking strides to make it even harder. A committee will vote tomorrow on legislation to cracks down on unlicensed cabs. The bill would create a squad of taxi-cops that could cite drivers and take away their cars. Fines could reach $5,000. But as the number of cabs on the streets dwindles, there's no guarantee that the city will do anything to increase the number of permits. San Francisco is somewhat unique in that demand for cabs fluctuates wildly. In most cities, there's enough activity that demand averages out, but in San Francisco the only high-demand times are Friday, Saturday, and after special events. Outside of those peaks, there's not enough going on in the city to justify more vehicles. Supervisor Malia Cohen is pushing the SFMTA to provide a plan for improving service. One potential solution involves demand-based pricing, which would lower fares during the week to attract more riders. But such improvements are still a long way off. So for now, you might want to invest in a good pair of walking shoes.